Make no question about it! This climb is up there with the best of them in Kerry or even the country as a whole. 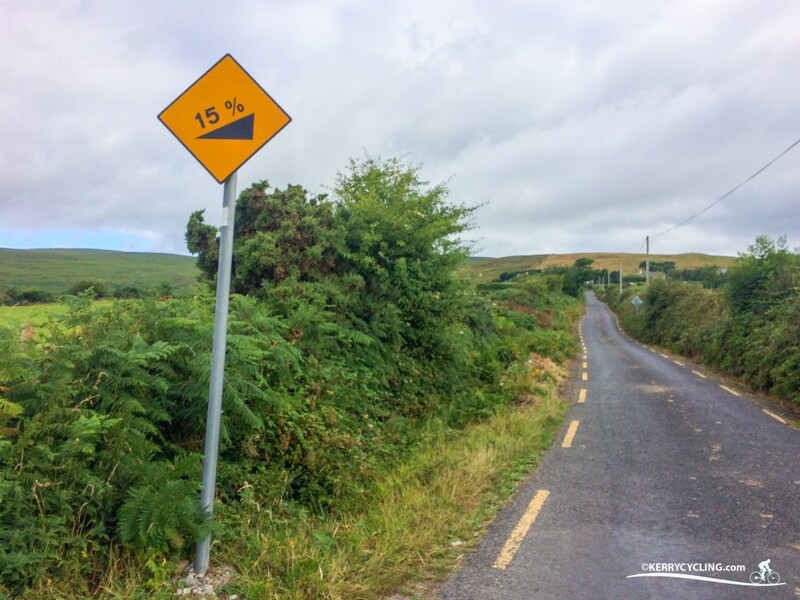 Certainly from a Kerry perspective, the Priest’s Leap and Coomanaspic are the 2 standout climbs combining length and gradient that might edge this “short cut” to Tralee. The thing I like about this climb is the fact that it keeps it surprises hidden. 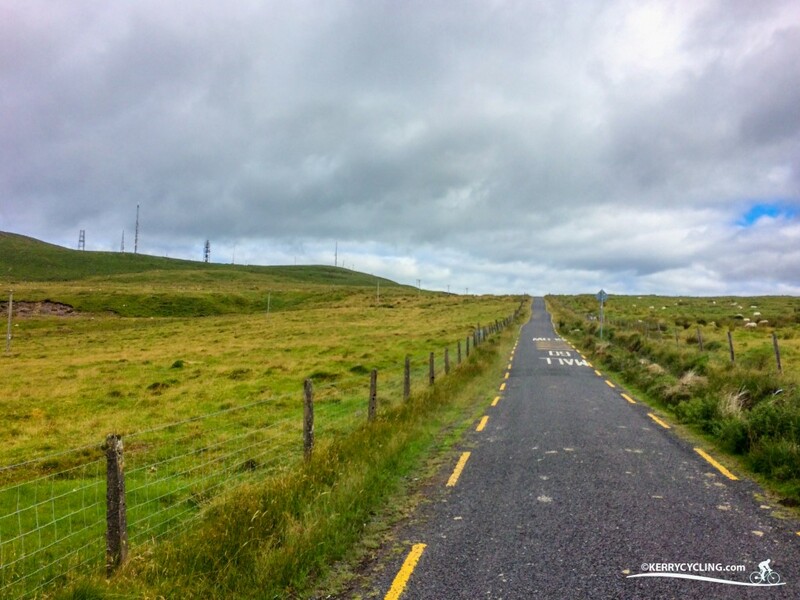 It doesn’t have the mind numbing drag of the Conor Pass from Dingle that offers an agonising glimpse of the summit and road ahead for the full climb. True, if you know where to look you can trace the route and the summit from the base camp. But only the experienced need apply for that job! Starting in the foothills of the Sliabh Mish Mountains just outside Castlemaine this climb starts with a seeming innocent left turn towards Scotia’s Glen. 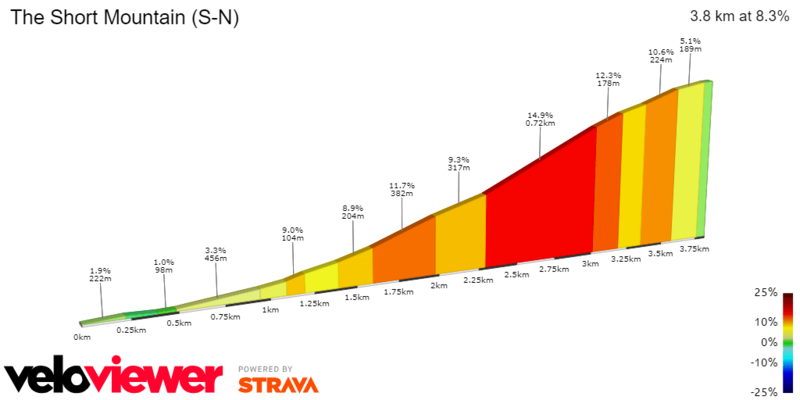 For pretty much of the first half of this (for argument’s sake) 4km climb the gradient is kind. A nice quiet road, hedgerows and fields either side broken by the odd farm-house. Once you reach the second half of the climb then the action begins. A cluster of dwellings to the left signals the start of the increased gradient. Once clear of them the road pulls slightly to the left for what seems an eternity and the gradient increases ever so slightly. The scenery is stunning, you are gaining height rapidly, but only the fittest of the fit will be able to appreciate the work in motion. Once the lush fields and dwellings give way to the rougher mountain terrain the road has one last surprise in the shape of a 90 degree left turn before pulling up to the right and a welcome straight and more even gradient. Don’t get too complacent as the summit isn’t quite there yet! Just one last pull in a straight line of asphalt before reaching the culmination of one of Kerry’s most challenging climbs. This is a tough one. Many cyclists were defeated during the attempts to climb this one and forced off their bicycles and to walk.